1 litre capacity. Pump Action. Ideal for all top up jobs. 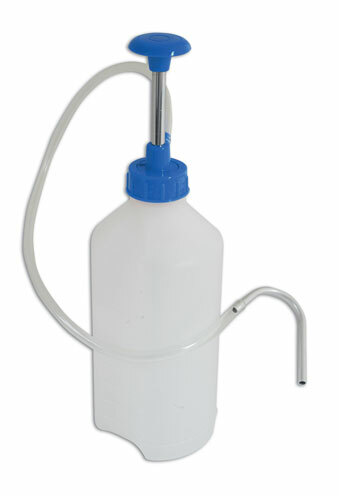 Handles all non-corrosive fluids. Metal hose end for accurate top up.